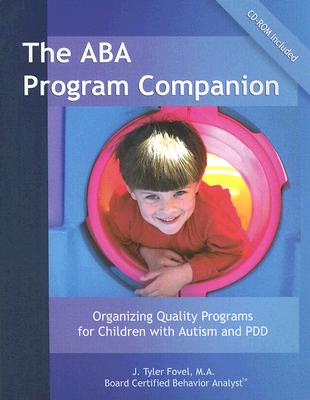 The ABA Program Companion: Organizing Quality Programs for Children with Autism and PDD by J. Tyler Fovel. This book, with accompanying CD, is designed to help the reader integrate theories and concepts from ABA into practical and comprehensive educational programming. Topics covered include basic ABA concepts; teaching formats; the principles, merits and clinical applications of discrete trials; incidental teaching; teaching language and much more. The included CD-Rom, titled The Consultant’s Companion, allows you to select, organize and manage curriculum goals for individual students. Reproducible data forms can be used to organize and expedite program development. Pp. 208. This entry was posted in Interventions, Our Library, Uncategorized and tagged Autism Spectrum Disorder, books. Bookmark the permalink.